It’s not a secret anymore that there are thousands of malware on the Internet, and we get a new version of it every day. We hear of individuals and business getting malware on their computer and the end up losing their data and business. We have compiled a set of 5 best malware removal tool that can protect your computer from random attacks and alert you when there will be an intrusion. Comodo’s virus removal software automatically detects different type of malware. Comodo Anti malware has a built-in fully featured malware scanner that can track and remove the virus, hidden files, rootkits, and malicious registry keys embedded deep in your system files. Using the latest heuristic technique the scanner is highly configurable, and are known to detect previously unknown viruses. Featured as first-class malware removal capabilities, it is capable of detecting hidden drivers and services loaded during system start-up. Malwarebytes have their product called Junkware Removal Tool (JRT). 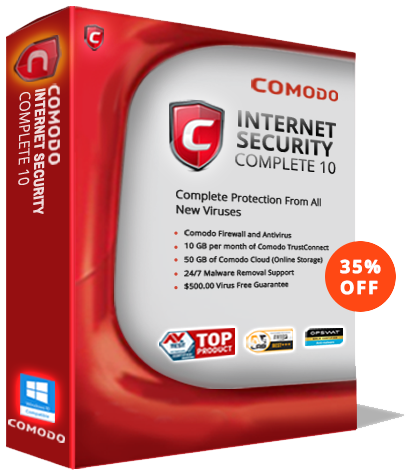 It sweeps up and removes all traces of notorious viruses and malware on your system. JRT is a malware removal software that has a combination of fast scanning and seamlessly removes virus in short time. It will typically disinfect your computer and clean it before you are ready for the next coffee break. Malwarebytes virus removal software has been maintaining a low affair like Comodo, but like all good things, JRT also comes with a feature where it installs in the Temp folder and can be removed when and as you wish. A portable malware removal tool, it moves with you, and like Comodo, you need not have to install it on your computer but can run it on a USB. It is easy and it runs on a flexible Command Line Interface (CLI). No system footprints, Malwarebytes are designed to keep things simple. Popup ads that spawn most of the computer these days, like Conduit, Malwarebytes instantly clears it. Any unwanted toolbars are uninstalled, this gives more flexibility for the user to browse. Potentially unwanted programs (PUPs) have no place in your computer with Malwarebytes, it is instantly deleted. Any traces of PUPs are cleaned and no footprints are left. Avira is also a major player in the removal of Malware and Virus from computers across the world. Unlike Comodo and Malwarebytes, Avira’s malware removal tool needs to be installed on the system to eliminate major distinct threats. Avira’s virus removal software does not replace any solution, but the user will have to keep it updated all the time. It protects your privacy and saves time on everyday tasks. The company claims that it protects you in real time against those 4-million threats that loom large on a daily basis. One of the best things about Avira malware removal program is that it employs cloud technologies and artificial intelligence, and this allows the endpoint to be fully protected from all types of malware, Ransomware, Trojan or spyware etc. The Real-time cloud scanning is the extended version of Artificial intelligence, which provides early warning to users before it puts the files from the cloud. This is called real-time protection. Avast malware removal program is lightweight and there is not much load on the resources. The virus removal software has an added level of protection that blocks and detects any kind of intrusion. In the event of ransomware, it will not allow the files to be encrypted without the knowledge/permission of the user. One of our best 5 antivirus software Avast, when it comes to security and protection it raises the bar with intelligent threat-detection. Avast gives you a wide range of choice with added security for your system, network, browser, and passwords. Again, the user will have to install it on his computer. To ensure that any files that land onto your computer are malware-free this tool automatically scans files before they are opened. The website that you visit is free from malware or ensure its trustworthiness, the tool has this mechanism in the URL and website certificate before it connects with your network. All the email is thoroughly scanned before the attachment is saved onto your the system files. Similarly, the outgoing emails are also checked if they are malware free. Make every connection private no matter what network or WiFi your employees use to prevent their identities, or your data, from being seen and stolen online. Is the best scan engine which works faster than most of the other virus removal software we have been talking about. It is a combination of two antivirus and anti-malware technologies, and this partnership makes it work efficiently. The company claims that the scanner never fails to let go any malware undetected. It is not hard on the hardware resources. One of the greatest features of Emsisoft malware removal tool is that of the custom scan. It allows the user to decide for themselves what is important for them and what is not. The custom scan setting has all the options, in which a few of them are enabled by default while others are not, so this gives room for the user to know what they need. Scanning of compressed archives, and more.